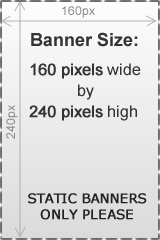 Classified and Banner Ad section is complete. Display your banner on the largest, exclusively conscious network of dating sites on the Internet. The Conscious Dating Network consists of 14 dating sites all sharing the same, large database (like different doorways into the same house) of “spiritual/conscious singles” and “green singles". Your banner will be displayed on all 14 sites, after members login and go to the “Classifieds” section, which is a high traffic section on the network, so we know your banner will get great exposure! *For your convenience, all subscriptions will automatically renew until you cancel. Cancel your subscription any time by logging into your account. After you cancel, your banner will continue to be displayed through the end of your subscription period (1, 3 or 6 months). Your billing statement will show "Conscious Dating Network".